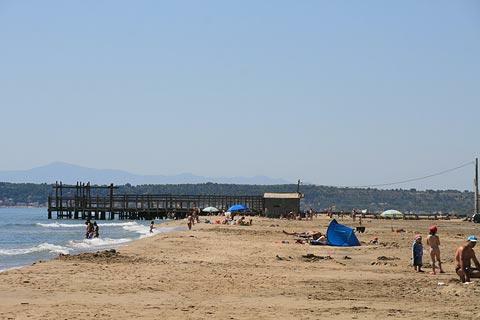 La Palme is a resort and traditional village between Leucate and Port-la-Nouvelle, in the Aude department of Languedoc-Roussillon and within the Narbonnais Natural Park. The town is situated between the vineyards of the region to one side and the lagoon, salt-flats and the sea to the other side. 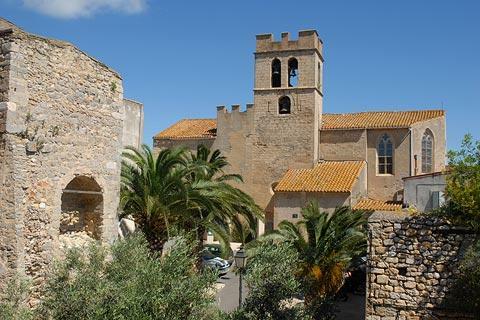 La Palme has ancient origins, as you can see in the historic monuments around the village centre. In fact the current village can date its origins at least to the 9th century when a priory was first established here. 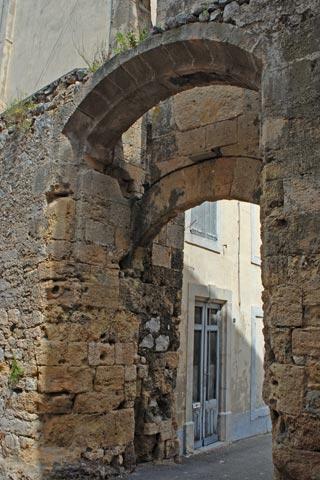 The village has retained its original medieval gateways, such as the Porte de la Barbacane which originally had a drawbridge, and the 13th century Church of Saint-John. You will also see various other interesting historic artefacts such as mills and washhouses. The weekly market in La Palme takes place every Thursday morning. 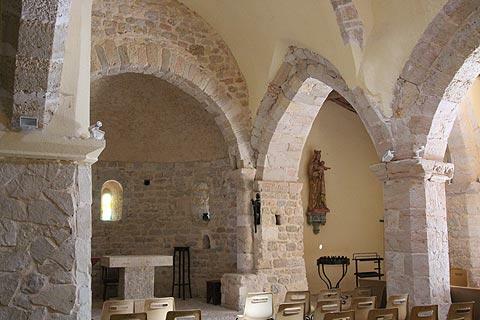 In the vineyards just outside La Palme the ancient chapel Saint-Pancrace dates from the 10th century and preserves a great deal of its original roman style character. A small village once surrounded the chapel, and it is thought that in Roman times a temple or other religious monument stood in the same location. 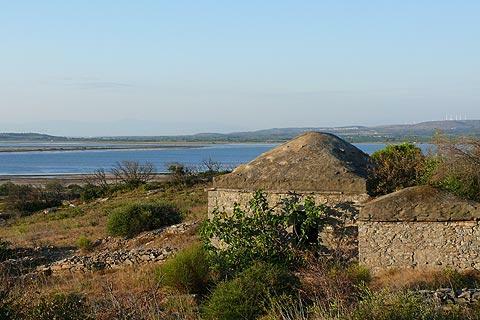 Another curiosity just outside La Palme are the small traditional stone dwellings called the Capitelles des Carrieres. These shelters were originally used by workers at the quarry that once operated here. From the capitelles you also have views across the salt-flats and out to sea. 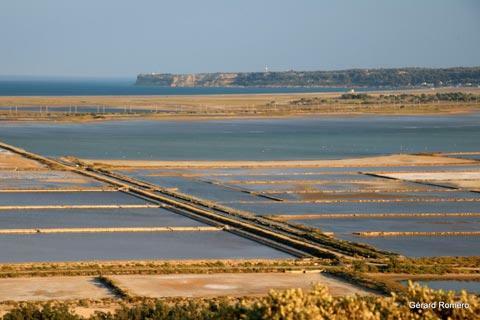 The natural environment of the saltflats and the lagoon (étang) around La Palme can be explored on foot. The lagoon is a protected environent where you might be lucky enough to see the wild flamingoes that live here, as well as many other species of birds. There is also a two kilometre long sandy beach just outside the village to the north-east, called the Plage du Rouet. As well as sunbathing you can practice wind-surfing and kite-surfing, both of which are popular activities here. There is a variety of sites and attractions in the area around La Palme, including the resorts of Leucate and Port-la-Nouvelle. 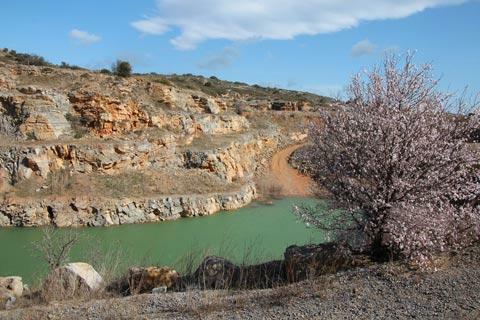 The Sigean Nature Reserve is also popular with visitors. 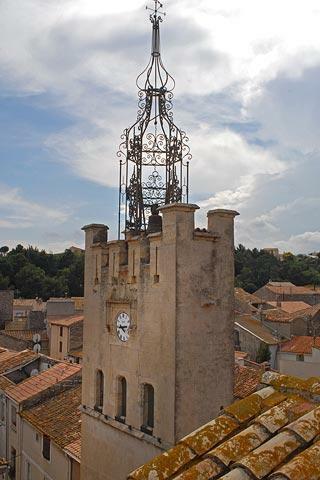 Slightly further afield the towns of Narbonne and Perpignan both have interesting historic centres and also merit a visit. 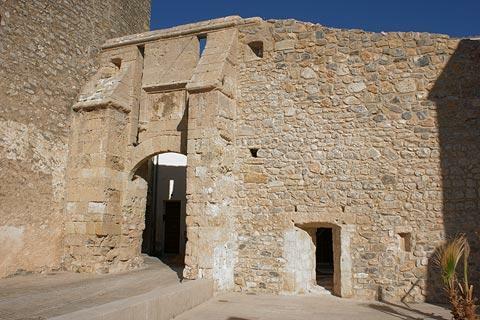 Information in part contributed by the La Palme Office of Tourism.